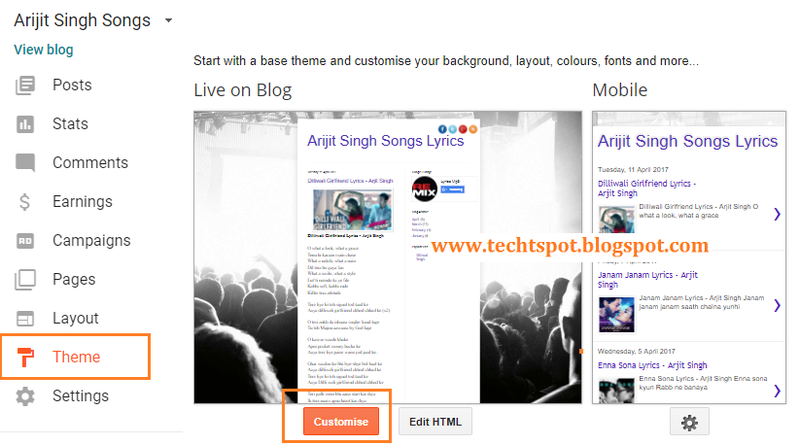 Hello friends, welcome to the Techtspot Blogger Design tutorial today I will show you how to make table in Blogger post with pictures. 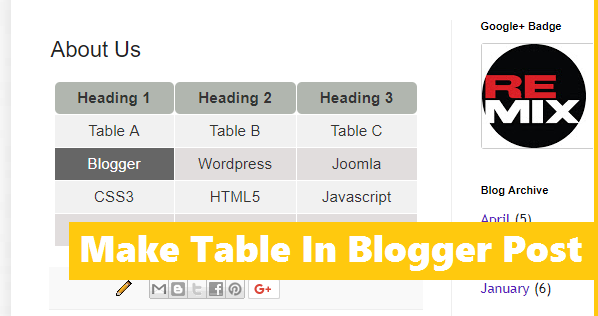 Today we create table in blogger post, when we are going to post about any product specification, product review, some versus content then we create table and show the information, but blogger don't have any feature like that we don't have table creating function on it, so here we create / Make Table in Blogger using code. 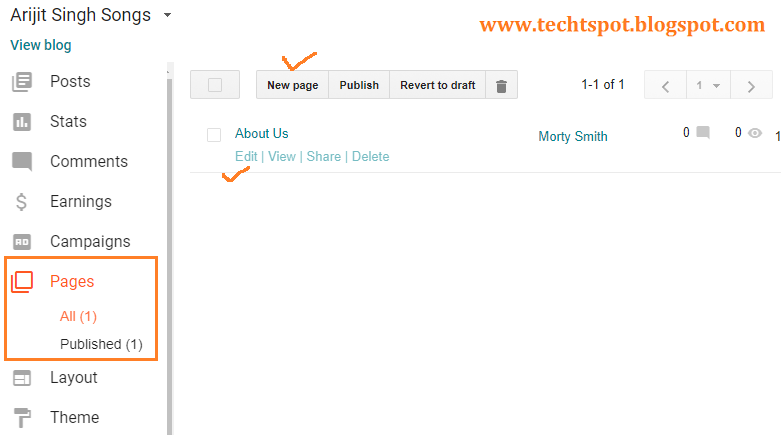 Step 1: Go to Blogger Pages or Posts and click Edit any post or page. Step 2: Now click HTML button and paste the code in the code area then click update button. Replace Your Content with Orange Content. 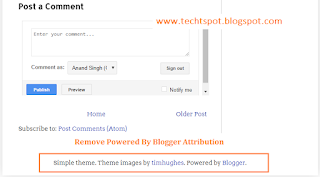 Step 3: Now Go to Blogger Theme and click Customise button. 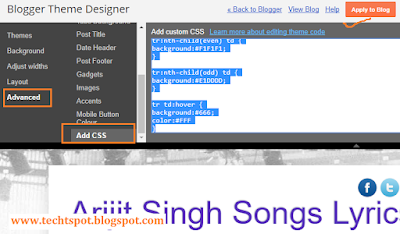 Step 4: Here click Advanced and scroll down the option then click Add CSS and paste the CSS code here then click Apply to Blog button. 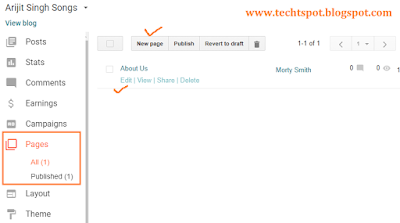 Step 5: Now open the Blogger blog. I hope you enjoy this Post. If any problem comment it. Generally I used to do it using MS Word. But you have shown very nice way of creating table. 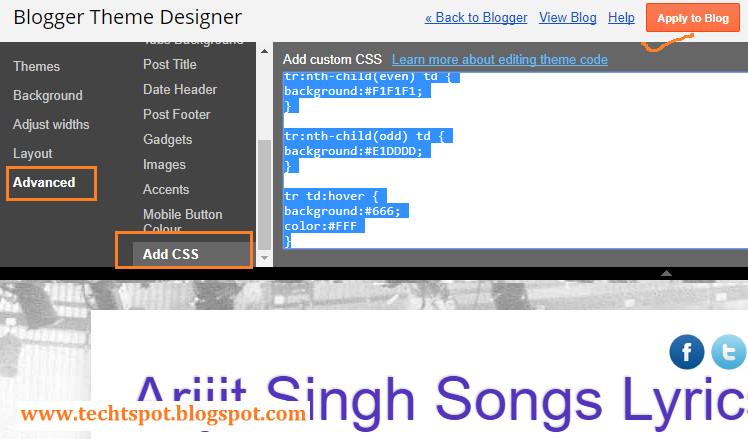 But I want to know, Is there any effect to blogger If we add extra CSS code? Great post, it helped me out! Thanks for sharing this blog post.It's really helpful!! Help me on this issue: How can I align the header vertically and horizontally? Maybe I explained it wrong. I have a phrase with multiple words and I want it to be aligned horizontally at the beginning of the cell. It's possible? On table "Endereço/Link do Blogue ou Website" I want align horizontally. Thank you very much. I'll fix my blog.